The British polar research ship once and formerly known as Boaty McBoatface, named by the glorious denizens of the internet, will be given the proper name of RRS Sir David Attenborough, named after the famed naturalist who narrates all of those television shows about penguins you watch on Netflix. But fear not, for Boaty McBoatface will live on, in the form of another vessel. 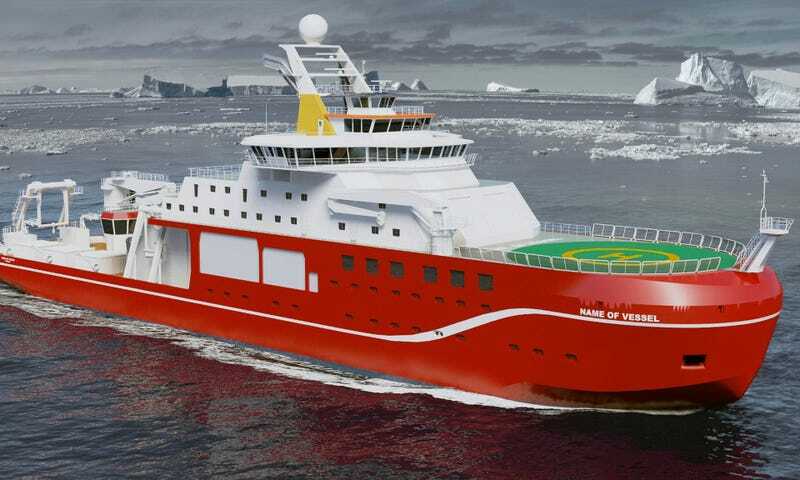 The competition to name the research ship was fraught and close, with Sir David Attenborough getting approximately 11,000 votes, according to Her Majesty’s government, and the name Boaty McBoatface getting a mere more than ten times that amount, with more than 124,000 votes. With the voting result so incredibly close and definitely in need of a recount, the authorities just went with Sir David in what they called a “difficult decision,” thus ending the United Kingdom’s long national nightmare. Alright, so the Boaty McBoatface name will technically be relegated to second-class unmanned boat status, but at least it’s something? The RRS Sir David Attenborough will be nearly 420 feet long, weigh more than 15,000 tons, and will have a crew of 30 with 60 scientists to do science on board, with their science things. The RRS Sir David Attenborough will set sail in 2019. Can’t wait.